Meet the controllerless Wi-Fi solution that’s easy to set-up, is loaded with security and smarts, and won’t break your budget. 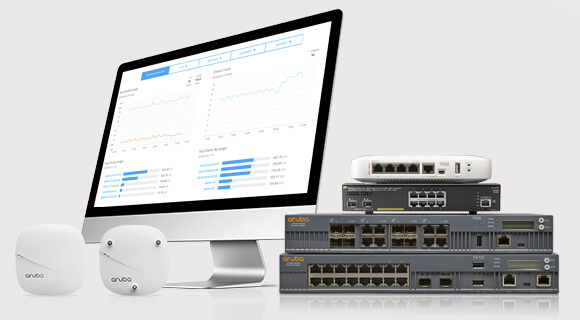 Aruba Central manages, monitors and secures your wired, wireless and wide-area networks from the public cloud. 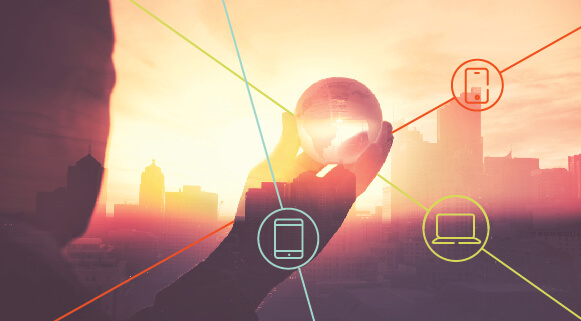 With multi-tenant operations, Aruba Central enables partners to support multiple disparate networks from a single location. 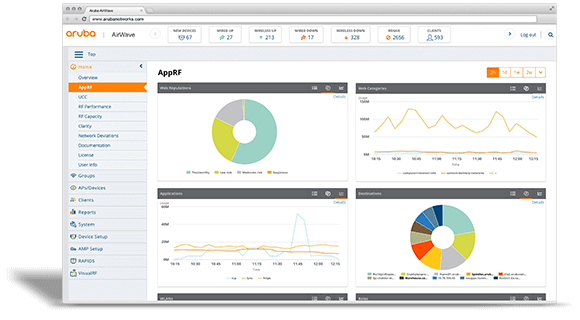 Beyond that, Central also offers app visibility reporting, predictive monitoring, and Wi-Fi analytics. 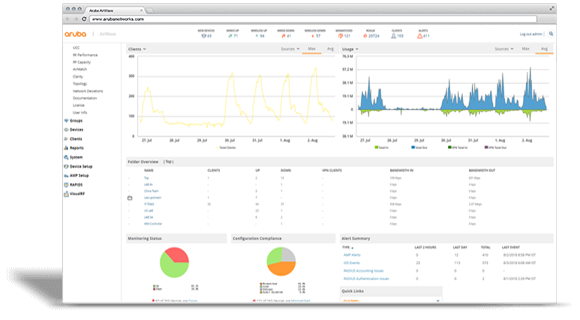 Enterprises are using AirWave and AppRF to optimize network performance and to see how apps are being used.